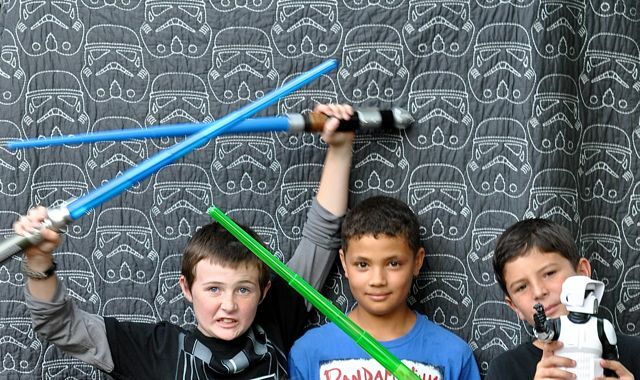 Of course the whole family wanted to watch the movie and come to the party, as well as some of my son’s friends, who are also big Star Wars fans. 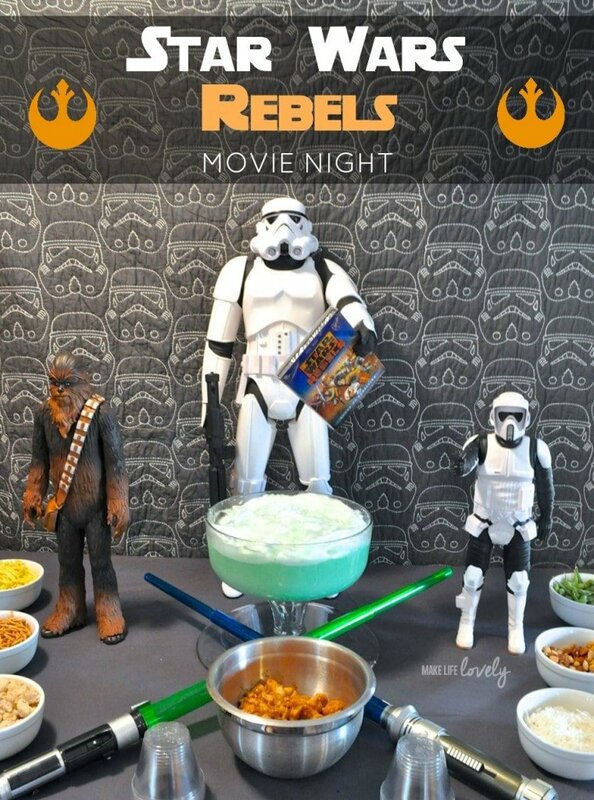 I stocked up for the party at Walmart, where I bought the Star Wars Rebels DVD, a bunch of new Hasbro lightsabers and Star Wars Rebels toys, and some yummy food for our dinner before the movie. I also bought a Star Wars t-shirt , cup, and dog tag to surprise my son with. He loved it, and wore the shirt and dog tag to the party. These also make great party favors! 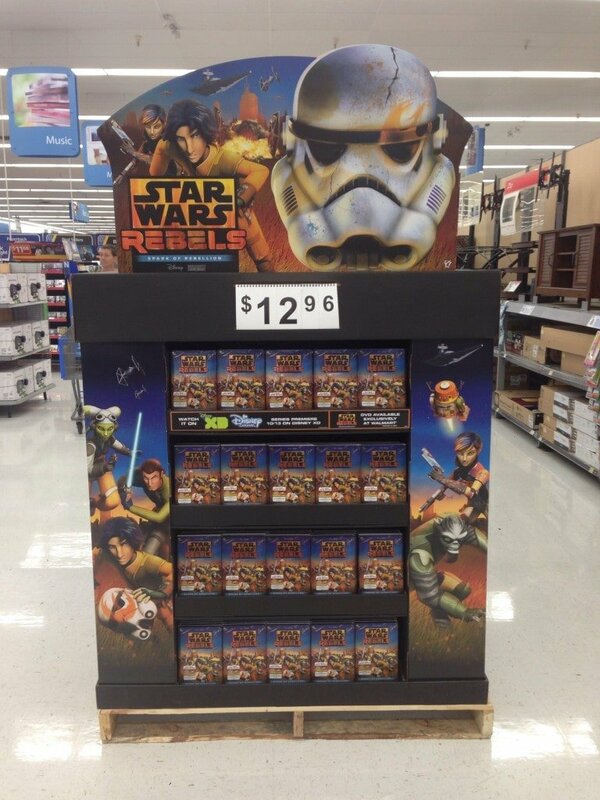 When the boys first arrived, I had some Star Wars Rebels toys from Hasbro out for them to play with. 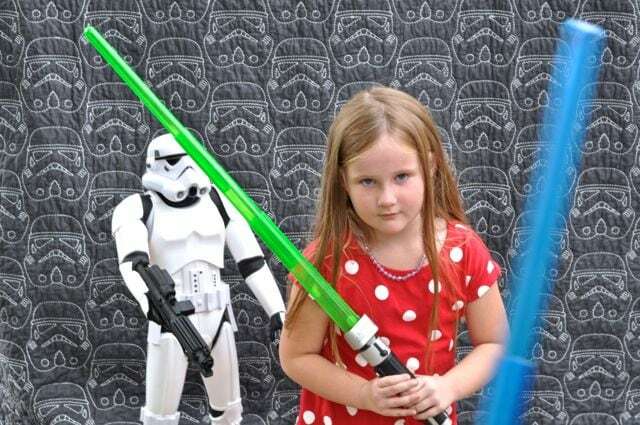 Lightsabers are a must for any young Jedi to have at a Star Wars party, so I bought a few of them to go on the table. Of course they didn’t stay there for long- the boys asked to go outside and have an epic Star Wars battle with the lightsabers! These lightsabers were really cool, too, because they lit up and made realistic light saber sounds. Very cool! 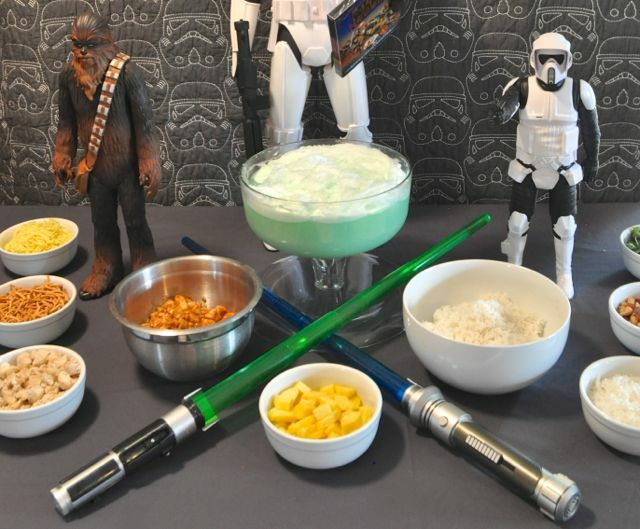 I served the kids dinner since I would be showing the Star Wars Rebels movie around dinnertime, so I made up ingredients for rebel stacks, the perfect hearty meal for hungry rebels. I made some teriyaki chicken, plain chicken, rice, noodles, fresh pineapple, crunchy noodles, coconut, mixed nuts, and edamame, and let the boys pick and choose what they wanted to eat. 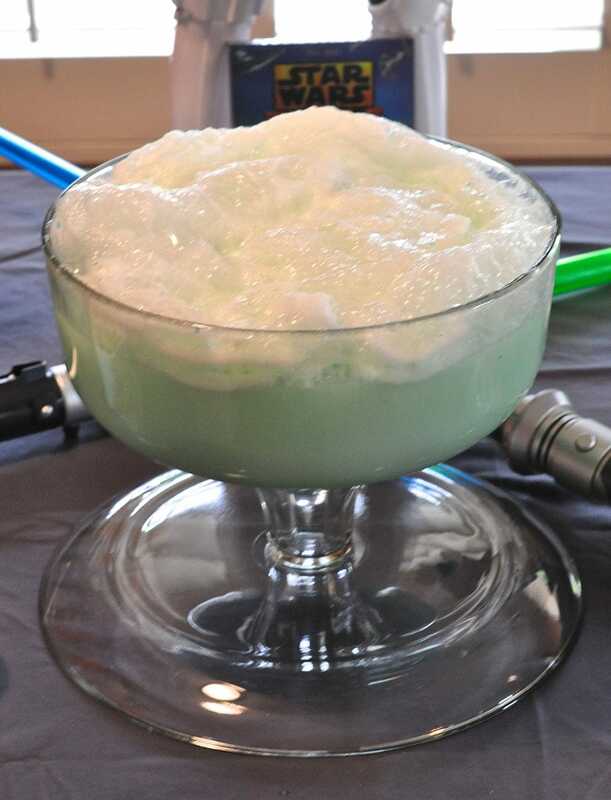 They loved the rebel stacks, but the absolute hit of the night was the Degobah swamp juice, made by placing scoops of lime sherbet into a punch bowl, and then pouring 2 2-liters of Squirt soda over the top. The boys were addicted to the stuff, and ooohed and aaahed over the delicious taste, fun color, and all of the bubbles and foam. They couldn’t get enough of it! 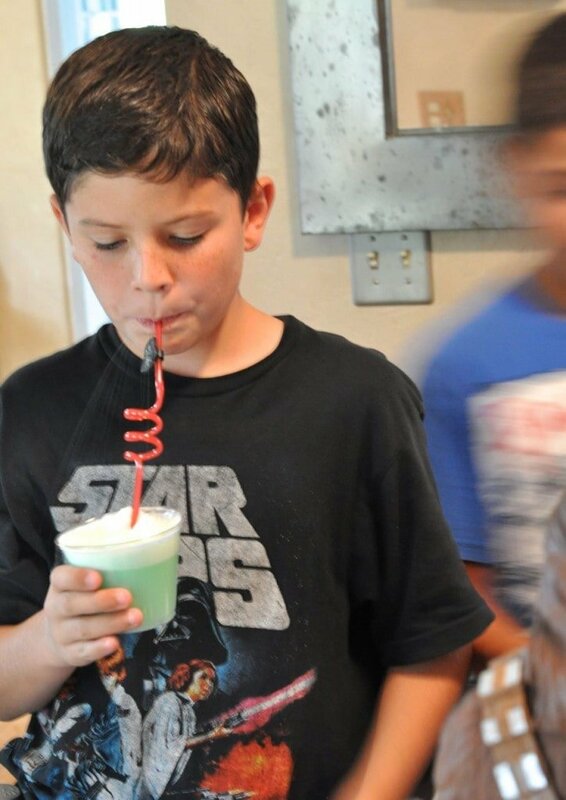 And it was definitely more fun to drink their Degobah swamp juice out of a Star Wars crazy straw. After the boys had eaten their fill, I let them play for a few more minutes, and then we started the Star Wars Rebels DVD, which is released exclusively at Walmart from 10/3 to 10/13, and is really worth buying! My family was really excited to be introduced to new characters, as well as see some of their old favorites in this movie and the premiere episode of the Star Wars Rebels show on Disney XD. The boys didn’t take their eyes off the screen the entire time, and the kids are already counting down the days til we will watch the next episode on Disney XD! 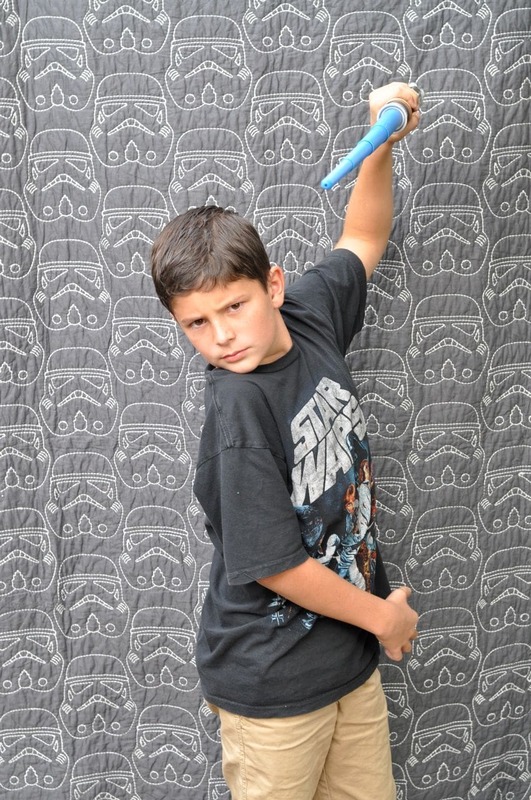 After the show, I let the kids go outside and show off their best Jedi moves with the new Hasbro lightsabers. 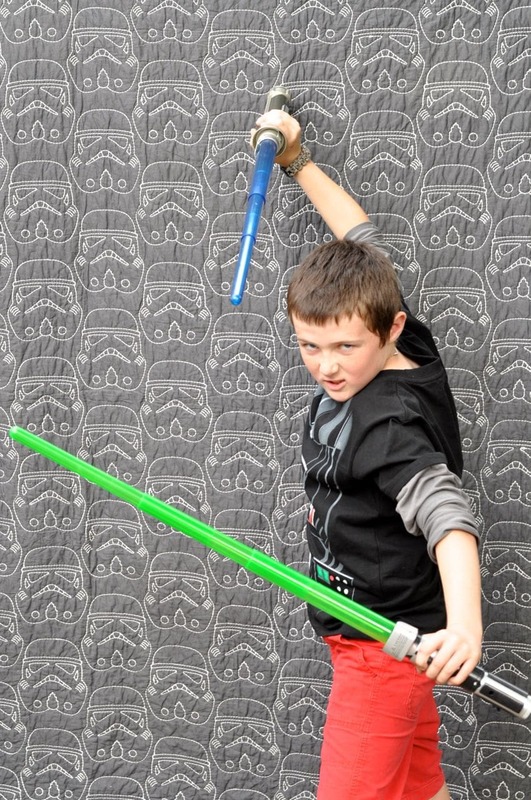 Some Jedi were a bit more hesitant to share their skills with the world, but some were very excited to show us their lightsaber skills! After having a mini Jedi battle outside, it was time for the kids to be picked up. They had a great time, and my son wanted to watch the DVD again as soon as the kids left. And so we did! The next time we have the boys over, you can bet that Degobah swamp juice will be served. May the force be with you!